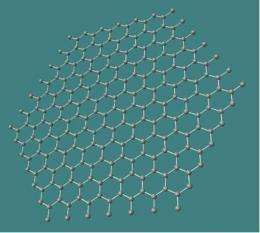 (PhysOrg.com) -- University of California, Riverside Professor of Electrical Engineering and Chair of Materials Science and Engineering Alexander Balandin is leading several projects to explore ways to use the unique capabilities of graphene ?quilts? as heat conductors in high-power electronics. University of California, Riverside (UCR) Professor of Electrical Engineering and Chair of Materials Science and Engineering Alexander Balandin is leading several projects to explore ways to use the unique capabilities of graphene “quilts” as heat conductors in high-power electronics.